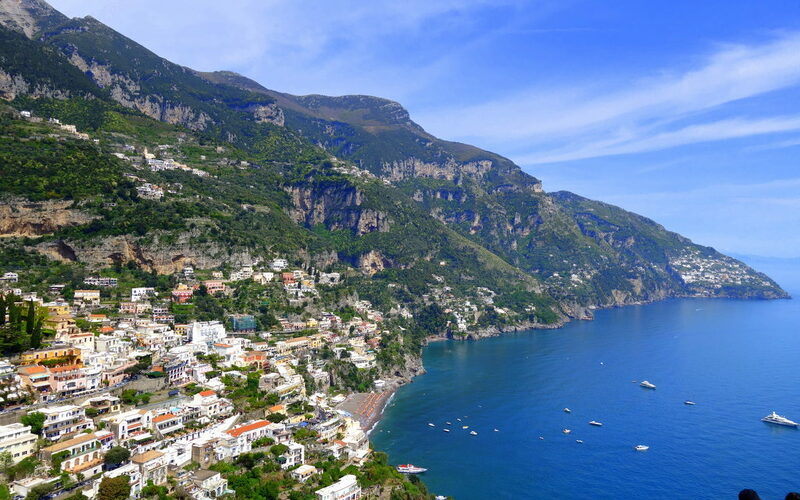 Ah, the Mediterranean…rich in culture, food, and great weather year-round. Little wonder it is the world’s second most popular cruising route, after the Caribbean. Last month, I had the opportunity to go on a 12-night cruise with Celebrity Cruises on board the Celebrity Constellation. It was my first time to cruise, and it was an extraordinary experience too as this cruise was for the 100th Anniversary of the ANZACs. The cruise departed from Rome, then went to Canakkale where Anzac Cove is, then to Istanbul, then Athens, Santorini and then Naples, then back to Rome. 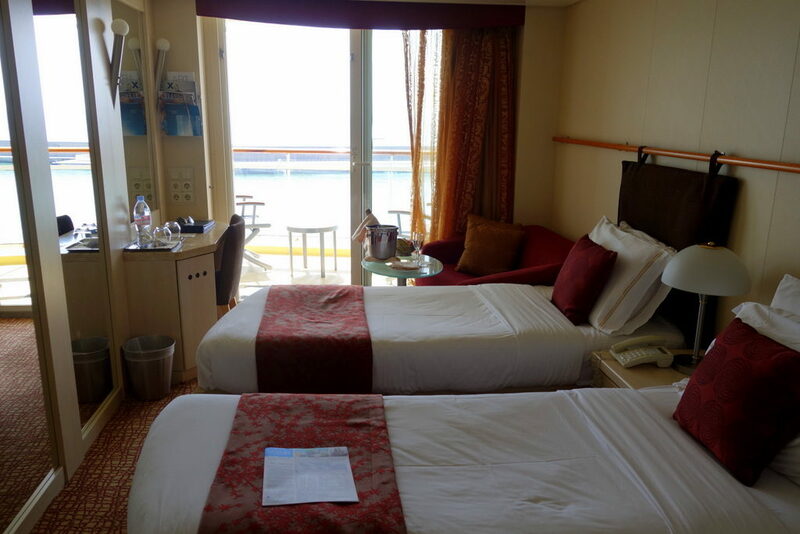 I had a twin bedded Veranda Stateroom ( I travelled with my cousin) which had a balcony that you can walk to, complete with deck chairs. The bathroom is quite compact, but I like that it has enough storage areas for toiletries. The room was cleaned twice a day so there were no problems of any mess/ smell. Though on our last night there had been some drainage issues with the bathroom. I’m so glad that this arose only on the last night but I’m sure had it come up at an earlier time, it would have been solved immediately. On the surface, it may look like they’re just ordinary twin beds. But there’s a reason I had to write a separate section about the beds. 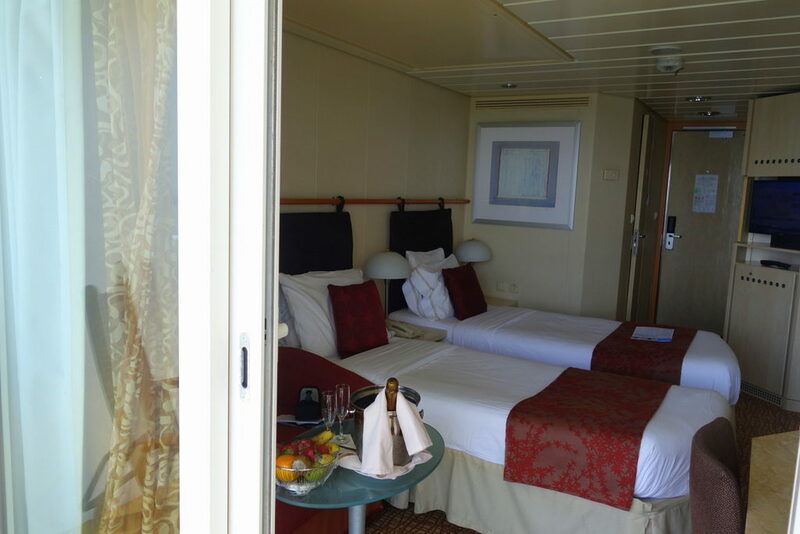 The eXhale bedding is an exclusive from Celebrity Cruises (provided by Reverie mattresses). It’s made from natural, hypoallergenic material but to me, what matters is how it gave me very sound, uninterrupted sleeps – all 12 nights! How I can describe it best is , it felt like the entire mattress was made out of very firm, memory foam type of material that really gave ample support and comfort to the back. I was really impressed with how comfortable it felt, despite the mattress being a twin size. There must be quite a number of people who are also equally impressed (on a regular basis) because by the bedside table lies a card explaining the eXhale bedding system and how you can order too. There’s plenty, and I mean PLENTY of places to explore and things to do at Celebrity Constellation especially during sea days. There’s Canyon Ranch SpaClub, an indoor gym, a running track, an outdoor and indoor pool, a shopping emporium, a kids club, a casino, a theatre, at least 5 restaurants and 3 bars..just to name some. During Sea Days (where the ship is sailing between ports, therefore guests spend more than 24 hours inside the ship), Celebrity Constellation is just abuzz with activities to do. There’s morning, mid-day and afternoon exercises (both indoors and outdoors), classes and sessions on cooking, arts, crafts and wellness, dancing class, trivia games, bingo, auctions, sport competitions and concerts/shows. 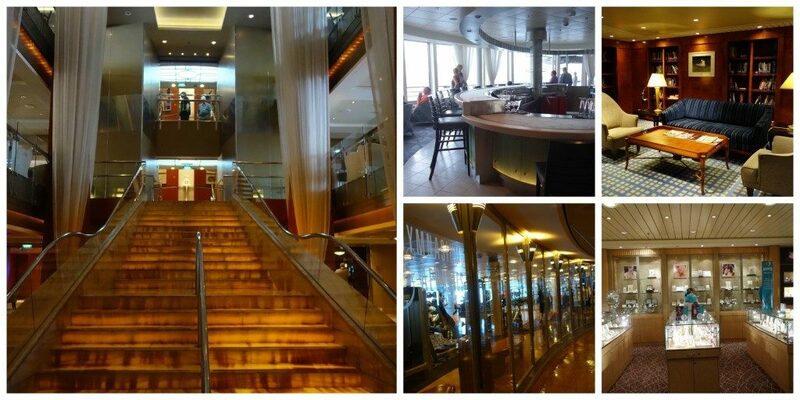 If you would like to see what a typical day at the ship is like during a sea day, CLICK HERE! You will never go hungry on board the Celebrity Constellation. 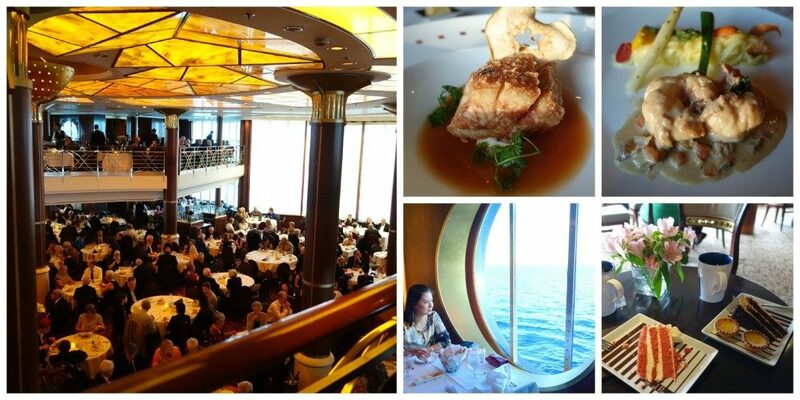 There’s a 24-hour cafe that’s open, Ocean View Cafe which also serves as the buffet dining option in the cruise. San Marco Restaurant is the sit-down dining option, where you can have fixed times for dinner or upgrade for a Select Dining option, where you can freely choose the time you dine between 5:45pm to 9:45pm. And you also have the option to sit with other guests on a round table, or opt to have an exclusive table every night. Then there’s also the specialty restaurants: Ocean Liners, the formal French dining option, and Tuscan Grille, an Italian restaurant. There’s also Luminae , a suite restaurant for those booked in the Suite Class, and Blu Restaurant for guests booked in the AquaClass. Oh! Perhaps you should also know that room service is FREE, including midnight snacks such as cookies and milk! 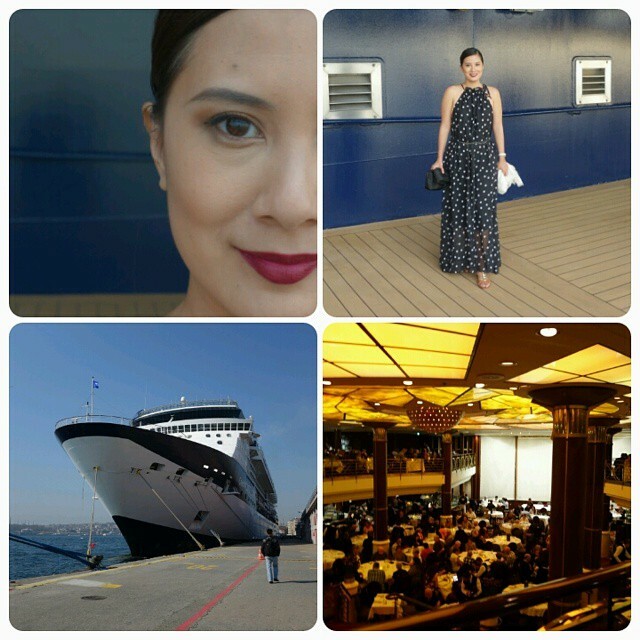 I created a separate post about the food on board, with tips on how to cruise and eat healthier HERE. We spent April 25-26 in Canakkale in Turkey, the port where Gallipoli and Anzac Cove is. On the evening of the 24th April, at 10:30 PM, there was a live telecast of the memorial service held in Canberra (as Turkey is 7 hours behind). And in the morning of the 25th April, at 5:30 AM, there was an ANZAC Day Dawn Ceremony broadcasted live at Celebrity Theatre. And on the same day at 7:45AM, there was also the Celebrity Constellation ANZAC Day Ceremony held at the pooldeck. On the 26th, we went on an excursion to Gallipoli, where we crossed the Dardanelles to get to Anzac Cove. 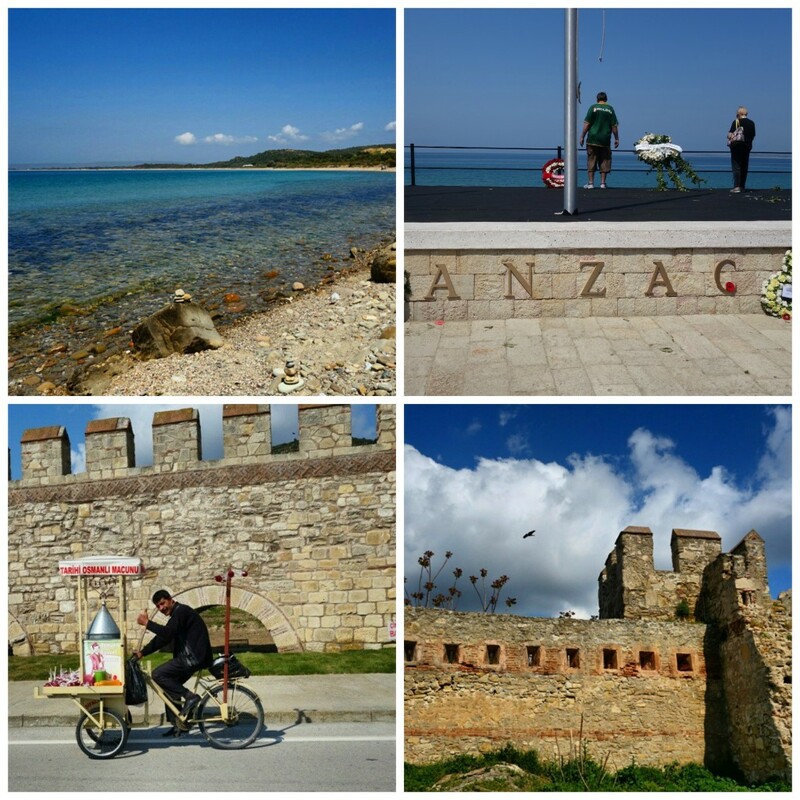 I’ve written an exclusive post about commemorating the ANZAC Anniversary onboard Celebrity Constellation, and also visiting ANZAC Cove HERE. Out of the 12 nights on the cruise, 3 of them were formal nights. This means long gowns or cocktail dresses for the ladies and suits/ coat and tie for gentlemen. It was quite nice to be in a formal atmosphere and everyone really adhered to the dress code during those 3 nights. The formal evenings gave abit of a “Titanic-esque” feel especially when dining at the San Marco Restaurant. However, there was nothing really different about the dinners / events whether it was formal night or not. Overall, the dress code in the ship was smart casual, even in non-formal evenings, I never really saw anyone dressed in shorts or thongs. I loved that there were formal nights but I feel it would have been more interesting to have perhaps different themes during formal evenings so that there’s something different in either the menu or setting / environment other than people dressing up nicely. The service at Celebrity Constellation really stands out to be one of the most impressive aspects of the cruise. Our stateroom has a designated attendant, the ever-smiling Joseph, who comes to the room twice a day to clean and tidy. There’s never a request too difficult (nor annoying) for Joseph. My cousin, who was travelling with me has a previous knee ailment and required a bucket of ice every night. Joseph (and his counterpart during off-hours) delivered this efficiently and there were some nights that they already left a bucket without my cousin requesting for it. It’s not just Joseph though because whenever I’d walk down the hallways of the ship (going from one end of the ship to the other), there would be instances when I’d cross paths with a ship attendant / crew and always, no fail, they would give way and greet me happily. 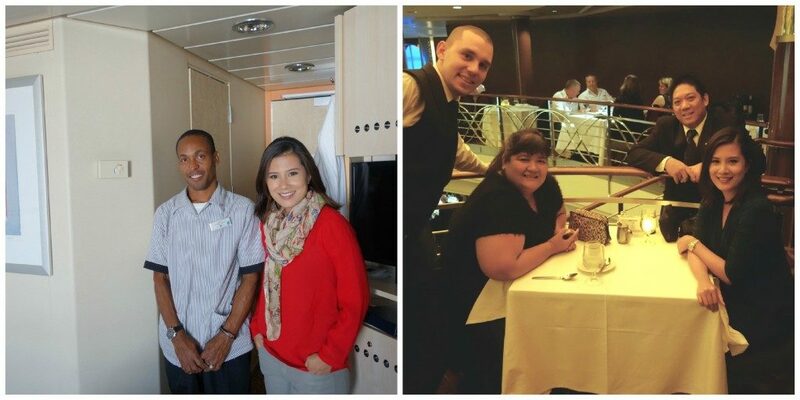 Same goes with all staff throughout the ship- our Head Waiter and Assistant Waiter at San Marco Restaurant (Limon and Sergei) , where we dined nightly – really took care of us and already knew our eating habits and requests by second night without us having to ask for it. Upon checking-in at the port of Civitavecchia (Rome), we were given Sea Passes. ALL guests should have their Sea Passes with them AT ALL TIMES: Within the ship, most especially outside the ship as you are required to present the Sea Pass leaving and entering the ship. The Sea Pass also works as an on-board credit card as every transaction on board is cashless. 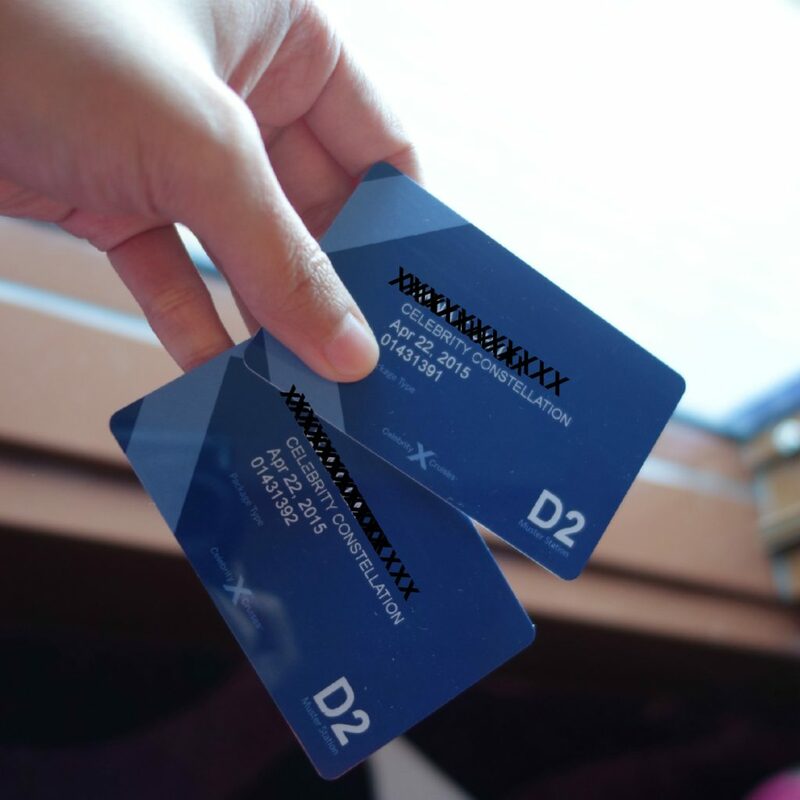 As I was travelling with my cousin, we set up separate accounts for our Sea Passes, and the staff linked our individual credit cards to each Sea Pass. I think it’s a great idea to have the separate accounts as not all passengers who cruise are couples but the hiccups and mix up seemed to be caused by a technical error. Anyhow, what matters is they were able to sort everything out by the 2nd day. 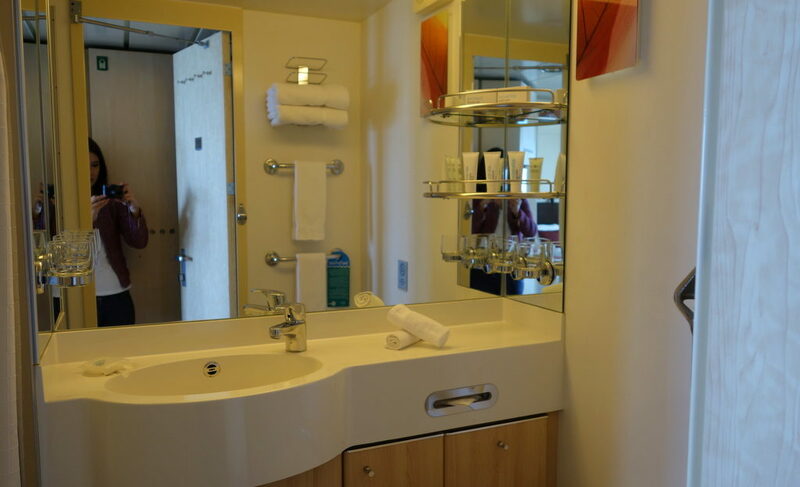 You can also check your expenditure on board from your stateroom’s tv. This is very handy , as you can keep track of how much damage fun you are having. Also this way, you can still have time to sort out whatever discrepancies there are on your account. Prior to this, I have never been on a proper cruise before, so my limited knowledge had the impression that live entertainment onboard cruises are sad cabaret-like shows. How very wrong I was! Each nightly performance was a huge production number on its own, with great variety too. There were musicals, concerts, impersonators, stand-up comedians, a mix of both, and of course singers and dancers. All the performers’ costumes, makeup and stage props and backdrops were really tastefully and articulately made. 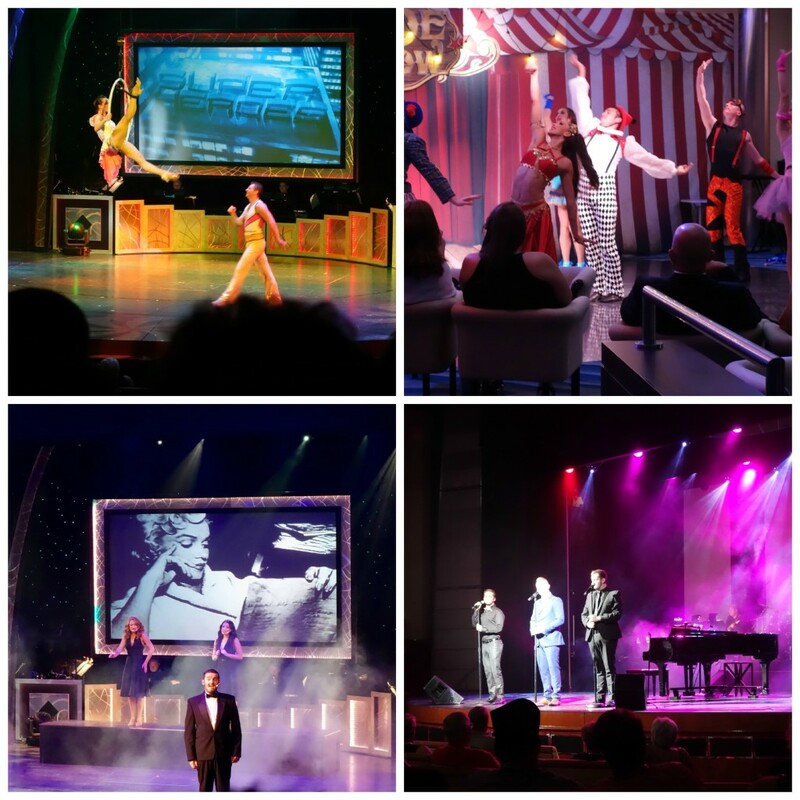 The shows and themes are very creative and every ship has it’s Cruise Director, with Celebrity Constellation having the very talented and amusing Alejandro Tortorelli from Buenos Aires leading the activities and entertainment on board. Kudos too to Andres and Lindy, the Activities host and manager, who just had endless energy in spearheading activities during Sea Days and just making sure that everyone had a grand time. Overall, we stopped at 6 Ports (Cities), and I was able to go on excursions on every one of them. It is optional to book your excursions with Celebrity Cruises, but it is advised as the ship is guaranteed to not depart without you if you booked with Celebrity Cruises. In Canakkale, I was able to explore Kilitbahir Castle, which was one of Turkey’s first fortress, when Sultan Mehmet the Conqueror wanted to protect Constantinopole from inaders. This is also where I visited ANZAC Cove for the very first time. It’s a very moving experience to think of the events that occured just 100 years ago. The experience of crossing the Dardanelles to get from the Asian side of Turkey to the European side was also one of a kind. 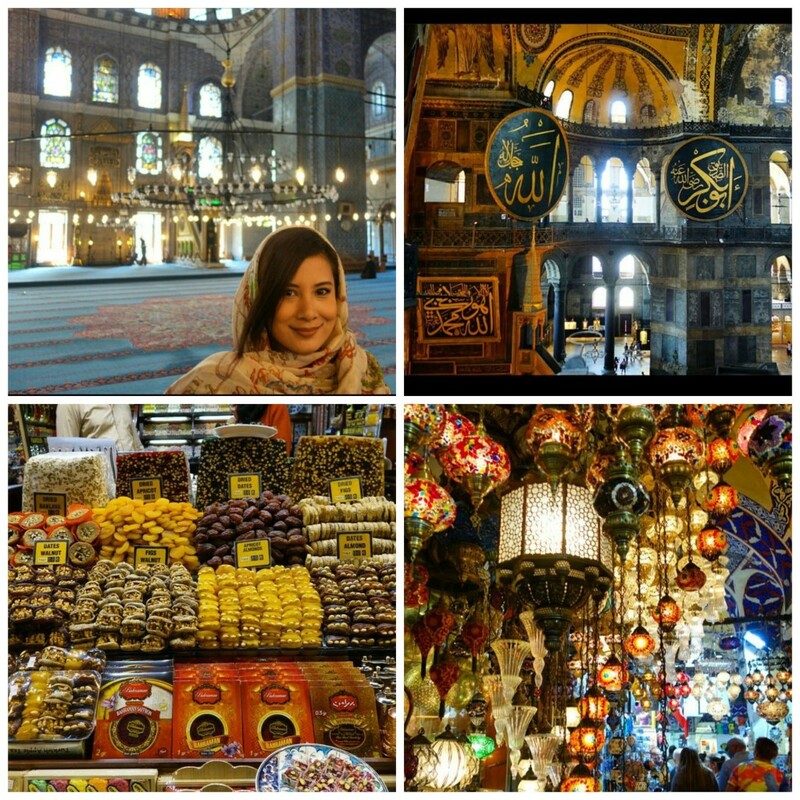 Oh Istanbul was quite an experience– an awakening feast to the senses! Visited the Hagia Sophia, the New Mosque, the Spice Market, The Blue Mosque, the Grand Bazaar, the Underground Cistern, and we also watched a Whirling Dervish ceremony and had dinner at a local restaurant. Istanbul also gave me quite the awakening when I had the frustrating experience of being conned by a cab driver. It was a sleight of hand trick when he confused me into thinking I gave him the wrong, smaller bill , when in fact I had not! So the bugger ended up pocketing a lot more than he should have that evening. Still, I would love to return to Istanbul one day with Zombie in tow. There’s nothing like exploring a city for the first time all by yourself. 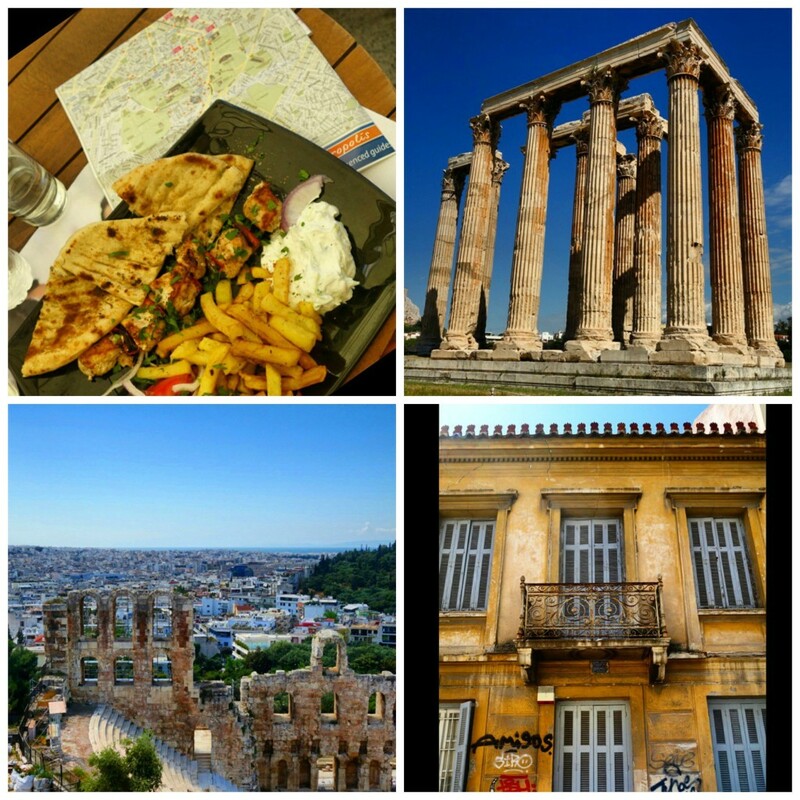 In Athens, I took a walking tour and it was a really great experience to be out and about, and walk the city extensively. Seeing the Acropolis, Temple of Olympian Zeus, Hadrian’s Arch was also very surreal. The weather was also perfect for a long walking tour. My goodness. SANTORINI. Hands down, this was my favourite port in this entire cruise. 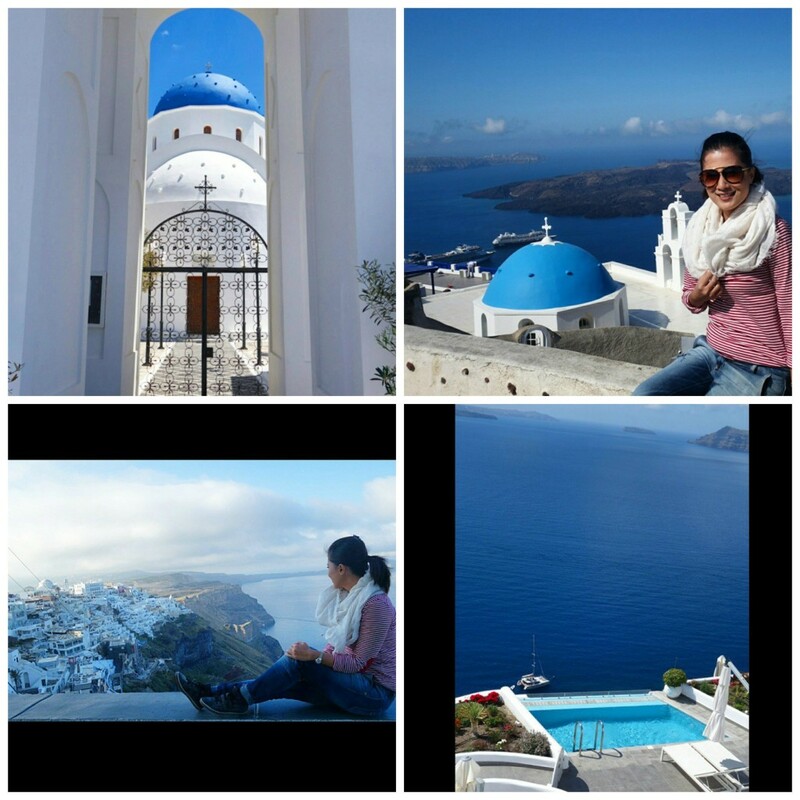 I’m in love with the day spent in Santorini! I don’t know what took me this long to visit, and an extremely short visit at that too! I’m at a loss for words to even begin describing how beautiful the islands of Santorini are. The laid back lifestyle, the warm locals, the pristine blue and white churches — everything. Alas, such is the sad part about cruises, the port stops are way too short (we arrived 7AM in Santorini and left the port 5PM), not even long enough to see the sunset. But we all know what this teaser means right? #SeeyouSoonSantorini ! In Naples, we had a very good mix of history, magnificent views, and food. 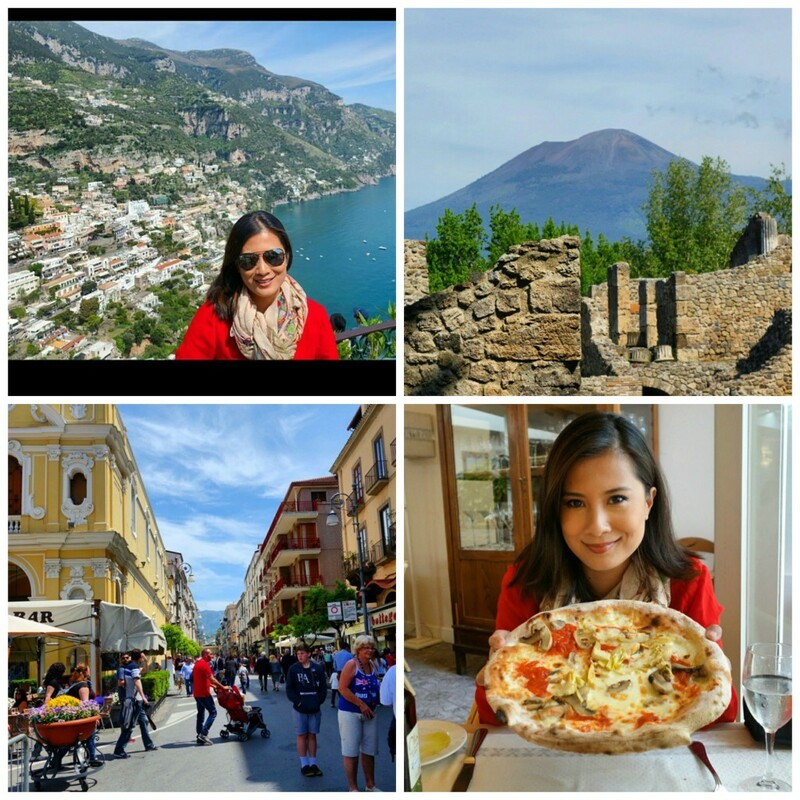 We went to the ancient city of Pompeii , getting a glimpse of Mt Vesivius, and then drove along Positano in the picturesque Amalfi Coast, and stopped in Sorrento for lunch to have an authentic Napolitana Pizza. Pizza originated in Naples, and now I can attest that in this instance, food is made best where it originated from! I never ever thought I’d be able to finish an entire WHOLE pizza by myself. I was told that in Italy, pizzas are not cut in triangles nor shared and it is normal to have one pizza per person. 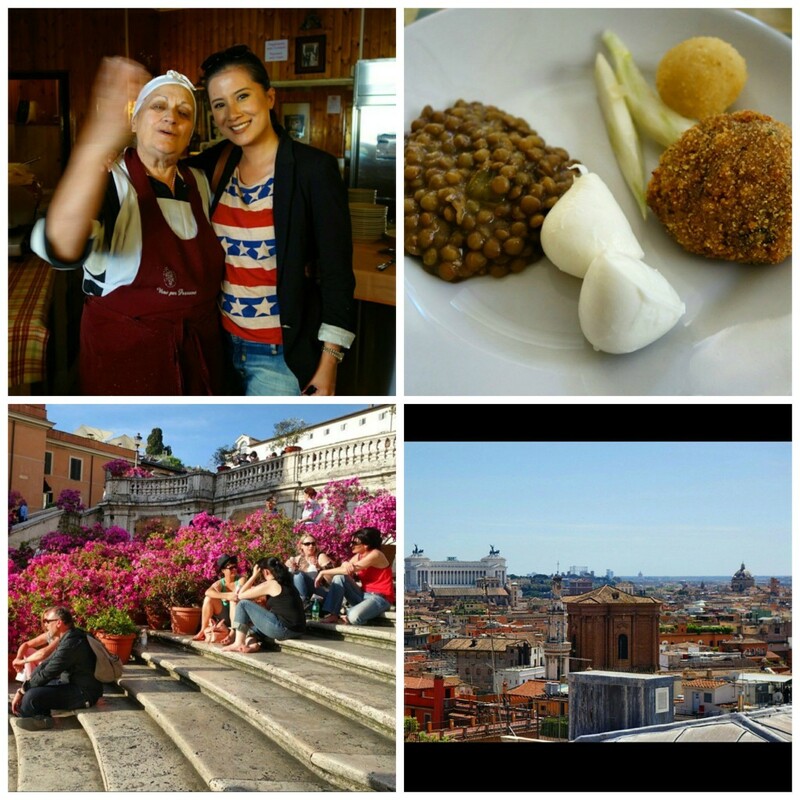 And speaking of authentic, when the ship docked back in Rome, I immersed myself in a walking food tour where I was able to meet the cutest Italian nonna (grandmother) who fed us with her home cooked food for lunch. Lentils, mozarella, fennel, rice balls and pasta. Food made with love is always the best! Here’s a rundown of the entire 12-day cruise, with short clips of all ports included. This was such a pleasant first time cruise experience for me, the duration and pace was just right. The number of total sea days (4) was also just right for me to enjoy everything onboard. 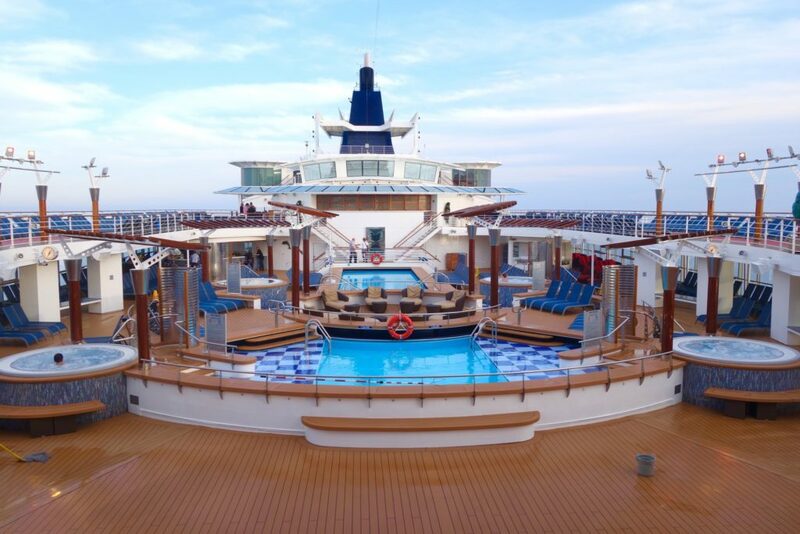 Celebrity Cruises prides itself in giving guests the #ModernLuxury experience, and I find this to be true. While I may not have cruised before, I had the opportunity to go onboard a cruise ship of a different cruising company last year for an inspection, and I can truly say that the amenities, down to the carpets, lifts and design of Celebrity Constellation were cleaner, more tasteful (none of that sad 90’s carpet patterns) and spacious. 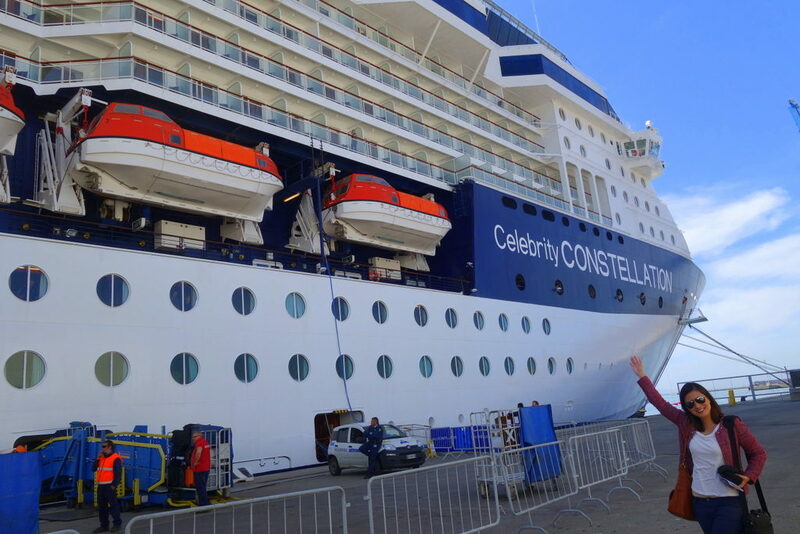 And to think that some of my cruise expert friends have advised me that Celebrity Constellation is actually one of the “older” Celebrity Cruise ships! I always say that luxury is in the experience, and cruising definitely gave me the luxury of enjoying my time onboard, receiving exceptional service and quality food / activities on board. And the crowd/ people on board was just lovely. 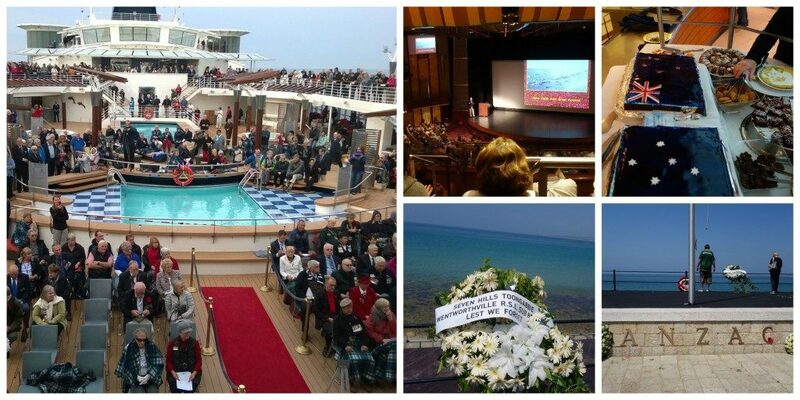 Though I may be biased because due to this being an ANZAC Commemorative cruise, around 1,500 of the over 2,000 passengers on board were Australians. The median age would be around 50’s and above though I also saw young families and couples in their 20’s and 30’s. Cruising the Mediterranean is practical in that you get to see a lot of places in such a relaxed pace, and less transportation. In 12 days, we managed to explore 6 cities. I do agree, it’s too short a time to really explore a place. But to me, I see it as a “teaser” to some places (like Athens, Santorini and Istanbul) where I plan to return and stay at a longer time. And places like Canakkale and Naples, where to me I feel like I’ve already explored it well in such a short time, 1 day is enough. Will I cruise again? Definitely, why not? I can see why cruising is becoming more and more popular, and the market is opening even to the younger demographics. You are not just paying for the transportation between ports, but it’s the lifestyle, the relaxed Sea Days, the friendships formed with other passengers, amazing service and activities onboard, and the quick jaunts to the ports that make this an overall memorable experience. Have you cruised before? How was the experience? And if not, where would you love to cruise one day? I have cruised before, 3 times actually, the first 2 experiences were magical and some of the best days I have lived, the last however was confused, the cruise line I so loved had been bought by another company and everything was really off brand, plus all the hidden charges made for one very expensive holiday. I didn’t think I would ever cruise again, but your posts this past few weeks might have changed my mind. Wow thanks for the kind words and sharing your experience cruising! It really is a pity when companies change hands, and try as they might, it really brings changes (some good some bad) and passengers can feel it for sure. Oh I hope you do cruise again, and that the next experience will be an extremely positive one! I’ve been slightly put off cruises due to going on so many when I was younger. These newer cruises seem to have a lot more interesting variety unlike when I went. I may have to try it again! You look beautiful in your formal dress by the way. Italy………….i went italy last year…it was amazing moment for me ………..i traveled lots of place and enjoy very much .lots of love for you……..Amazing guideline ……..
I’m not sure I’m really cut out for cruising but if I did find my sea legs, I think I’d love to do a cruise like this one because as you say you can see so many cities in so many days! It’s a great way to get a taste of Europe. I wouldn’t say no to a Disney cruise either because I’ve heard such amazing things about them and I’m a big kid after all! Hi Sammie, I also thought I was absolutely a non-cruising person but I’m glad I had the opportunity to try. I think it’s great for certain areas – like the Mediterranean and Caribbean, where otherwise it would cost an arm and a leg if you wanted to travel to as much countries. Oh Disney Cruise— hell YEAH! 🙂 I’d be first to go on the slides hahaha!